Compact and patented design. Corrosion proof, oil proof. 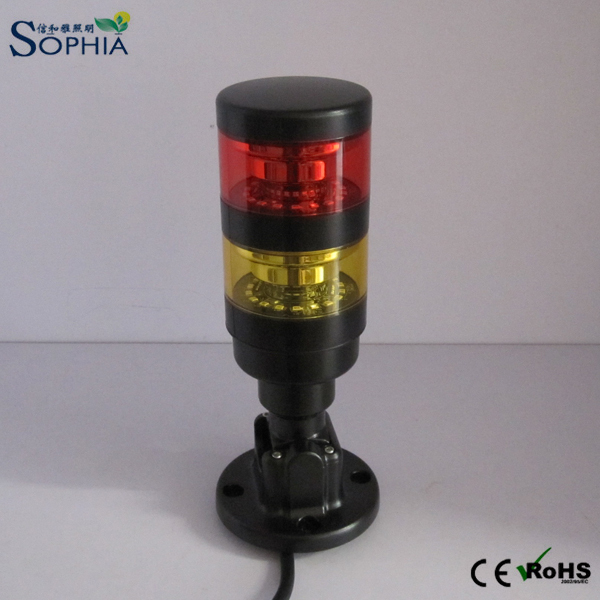 Rugged and waterproof Housing, UV stabilized lighting segements, smooth surface and uniform brightness. Modular design, can change or adjust color randomly without additional tool. Excellent driver, can make maximum five stacks with various performance. Base with30mm mounting thread, very easy and convenient to install.